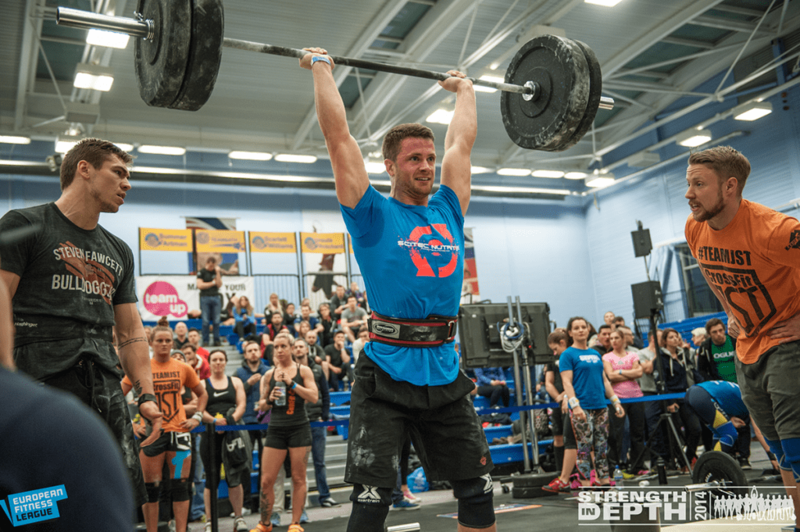 Currently number one in our region, Steven Fawcett won the CrossFit Open 2015 in Europe. If Nordic girls took over the ladies’ division, Steven Fawcett made sure England got the top spot on the men’s leaderboard. He placed ahead of Games athletes Jonne Koski, Björgvin Karl Guðmundsson and Frederik Aegidius. We had no choice but to do a quick chat with Steven about his training, favourite sweets, cooking skills and bench press PRs. You need to have your own drive, not somebody else’s. Training background: CrossFit for the last 4 years, semi professional football and generally all round sports previously. Hardest WOD: At the time, 21-15-9 deadlifts 315lb (143 kg), Box jumps 30” (76.2 cm). I am pretty confident I’d do well on this now. Favourite candy/sweets: Half a spoon of Nutella, the rest of the spoon in Peanut Butter. Favourite motivational quote: You are the average of the 5 people you spend the most time with! Hey Steven, congrats on winning the Open. But first, our readers want to know how much you bench press? Do you like bench pressing? It seems like you enjoy Olympic lifts much more? I like to do it, I am not necessarily great at it though! 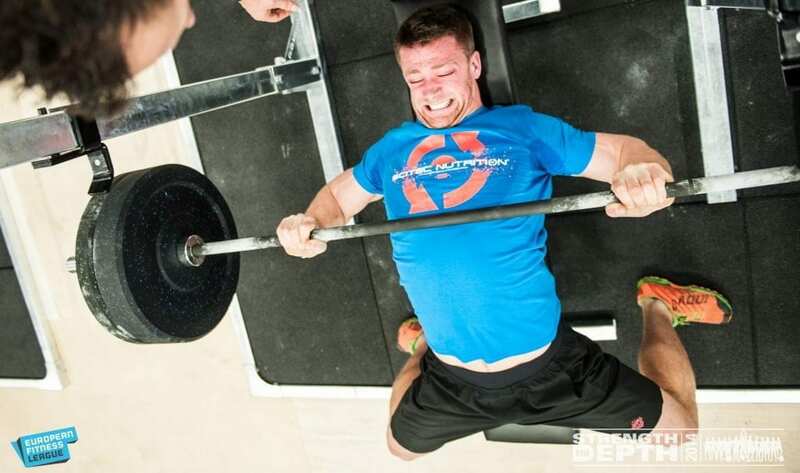 Oly lifting is just way more fun and no-one on Instagram wants to watch a bench press. Let’s go back a bit: from wining the Open to your first Crossfit WOD ever, can you still remember your beginnings? So I tried to just never rest in my next workout and I nearly died. I completed a month of main site workouts and had recorded all my results, so I repeated the full month and beat all my scores by a lot! 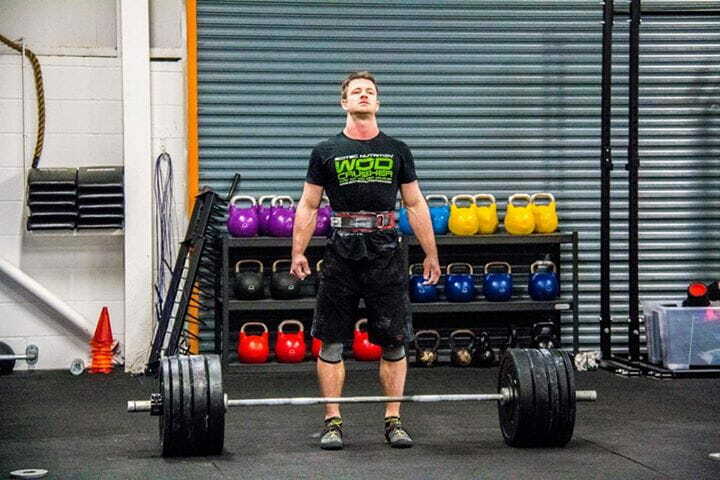 It then wasn’t long before I signed up for the Open and completed the 2011 Open workouts at CrossFit Clitheroe, and went on to representing them in the 2011 Regionals Team. In 2014 you placed 42nd at the Open, 7th at the Regionals. This year you won the Open. What changed in your training, or overall approach? Last year I took a gamble, I didn’t focus on preparing for the Open. 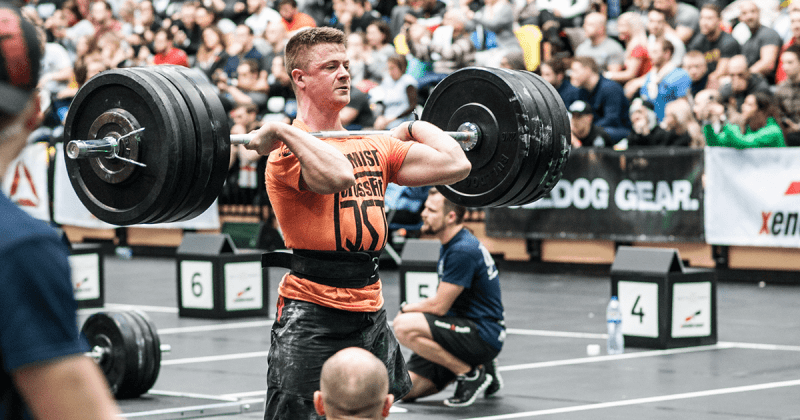 I just hoped that my level of conditioning would take me through into the top 48, so I was doing a lot of strength work so I could peak for the Regionals. This year I couldn’t afford to do that, especially with the new rule changes of top 30 only. So I just fully prepared for the Open and it paid off! Having a good team guarding your back also helps? CrossFit JST placed 4th in team division. You also won Strength in Depth. You’re building a powerful team in your box? Yeah, it’s great to now have 10-15 high quality athletes at the gym. Not only the athletes but the attitude of the members at the gym is always a great atmosphere to be around. We have a great system at CrossFit JST to ensure that we get the most out of everyone. And this has now shown after only being open for two years to have produced a 1st team (CrossFit JST Black) that came 4th in Europe and a 2nd team (CrossFit JST Orange) that came 75th in Europe! Jonathan Bullough and myself put a lot of effort into providing the guys with our knowledge and experience and everyone else just bounces of each other, I think in another years time we will see a pretty unstoppable CrossFit JST Team! Who does your programming or helps you with training? Do you have a coach for specific areas; weightlifting, gymnastics, endurance…? I programme for myself and follow the JST Compete Program that the competitors out of my box follow along with an increasing amount of people outside of the box. During the off-season I spent a lot of time training with Shaun Clegg, he really helped improve my lifting and my strength numbers increased a lot. I also class Erik Lau Kelner of Weightlifting 101 as my coach, I have now participated in four of Erik’s camps. One in Turkey, one at CrossFit CM2 and two in Iceland. I find that they really help my barbell game and will be attending a lot more over the next few years! Can you tell us a little bit about your nutrition currently? I have two amazing companies that really help me with my nutrition. First of all Scitec Nutrition, they support me with great supplements and always make sure I have everything I need. Along with the WOD Crusher products, I use a lot of the Isotec and BCAA Express. They’re probably my two favourite products. I also have Buff Box meals, they approached me in August 2014 and sorted out a perfect meal plan and make sure I get perfect nutrition every day. I get my meals sent to me at the beginning of the week and then they are ready and prepared to eat directly after training. It’s perfect for me! Crossfit men are supposed to be a full package; train hard, lift heavy, spent the day at the gym, but also help with cleaning and cooking at home. True or not? In your case? I think I should leave this to my girlfriend Francesca Lloyd to answer. I do chip in with cleaning. Now and again but it’s her most of the time. We have our food prepared for us so we don’t need to cook, but previously Francesca was the tea time cook, she’s a good’un! No, this is why I get food sent to me. Or I go to Nandos! Who influenced your Crossfit career most and why? I don’t really think many people have influenced me to do well. I want to do well because I want to do well, not because of what anyone else has achieved. What inspires you to get up, go to the box and train hard every day? Again, I don’t think anything except from my own expectations and drive inspires me to do what I do. I think if you’re always looking for inspiration from exterior factors then you’re going to struggle a lot at times! You need to have your own drive, not somebody else’s. We know what your goal is for 2015. But still, besides you, and Sam Briggs, which other British athletes you would like to see at the Games? CrossFit JST Black! That would be awesome! It would be cool to see Phil Hesketh there too, and watch him drown and get eaten by sharks in the Ocean water swim!